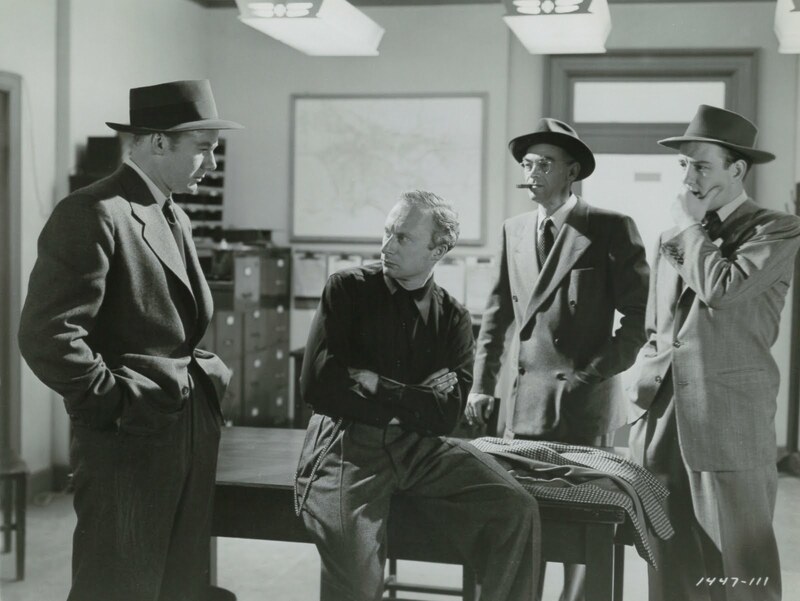 Scene Of The Crime was one of the good things that happened after Dore Schary took over as production chief for Metro in 1948. The newly installed exec was just off supervising production at RKO where money mattered, so free spending was anathema to him, especially with overall industry receipts in a postwar freefall. Schary's strategy for MGM was to tighten budgets, increase production, and make movies more streetwise after example of what he'd overseen for RKO. Metro was in dire need of belt-tightening. Dollars there had been frittered to Loews' near ruination. Schary was hired, at least in part, for known fiscal conservatism. He'd managed good pictures for less $, a facility lately unknown among MGM staffers. Was it still possible for Leo to roar at prices within reason? Schary would find out with a gritty pair done very much the RKO way. Scene Of The Crime and Border Incident were test cases DS tabbed for completion at hopefully no more than $700,000 on a schedule of less than 30 days. Since few entrenched Metro producers could be expected to perform such miracles, it was for Schary to raid talent pools he'd filled at RKO and assign them to rehabilitate a drowning MGM. Scene Of The Crime figured into a newly revived cycle of cop-and-robber thrillers that had till recently been frowned upon by Production Code authorities. PCA restraints were lately loosened, though, to accommodate documentary styles popularized primarily at Fox with its street-shot police dramas. Action content helped sell these so-called "doc treatments," while modern dress setting held costs in check. By early 1949, Schary had several on the griddle for Metro, including Murder at Harvard (later Mystery Street), and Black Hand, in addition to Scene Of The Crime and Border Incident. This was bold initiative for the industry's most hidebound shop, but Schary, having been given a free hand, was determined to bring MGM in line with trends he'd observed if not initiated elsewhere. A pair of bold ones from his tenure at RKO, They Lived By Night and The Set- Up, demonstrated what quality could be got on minimal investment. Lawyer turned writer Charles Schnee was responsible for They Lived By Night's screenplay. 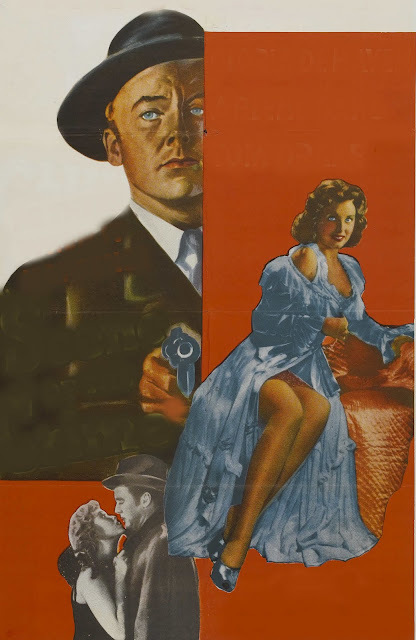 Schary hired him to do an original story and script for Scene Of The Crime. 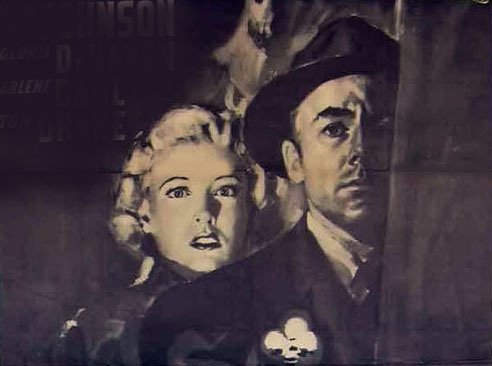 Old studio timer Harry Rapf was set to produce, Roy Rowland directing, so SOTC wouldn't be too radical a departure from Metro norm, but Rapf died only weeks into filming, obliging Schary to look again to RKO and The Set-Up's producer Richard Goldstone, brought over now to assume production duties on Scene Of The Crime. More and more, this was looking like an RKO project transplanted to Culver City. In fact, Schary had MGM plans for any number of colleagues from the old address. 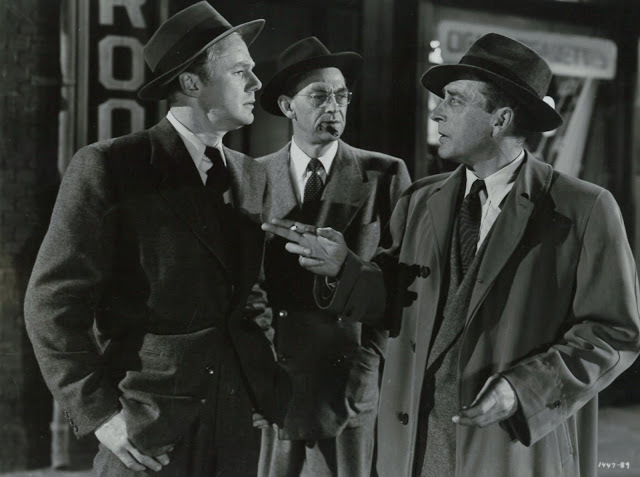 Norman Panama and Melvin Frank were comedy specialists also imported from RKO, as was DS's former aide Armand Deutsch, immediately assigned on arrival to produce Ambush for Metro on Arizona locations. Schary knew outside talent and was quick to gather it in his net. Few prospects turned down increased salary to be had for making the move. 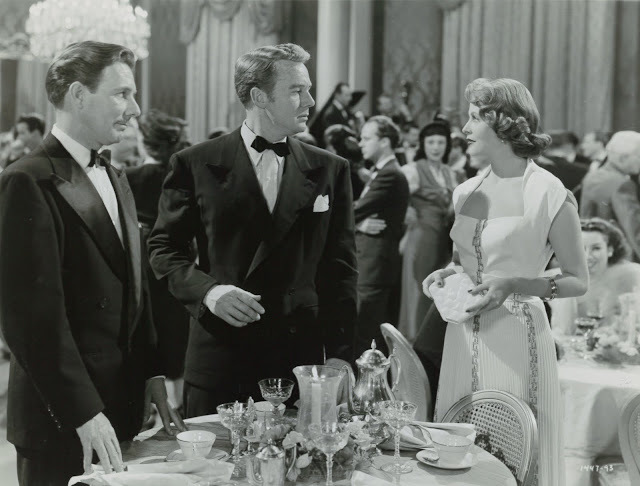 Among newcomers to Schary's MGM was Jacques Tournear, who'd direct the outstanding Stars In My Crown for 1950 release, along with what should've been the company's best hire, Val Lewton, producer of so many outstanding low-budget thrillers for RKO since 1942. But not all transplants would work out, Lewton the saddest of ones who, for whatever reason, couldn't make a go of big factory manufacture. Still, Schary got more hits than misses among scouted talent, his agenda a sound and sensible one. If there was a highest barrier before his succeeding, it was internal politics at Culver City and odds against small projects finding a public distracted from regular movie-going. Even a second coming of Irving Thalberg could not overcome such walls of resistance. MGM needed to go out onto streets as had others seeking pavement authenticity. Director Roy Rowland took his Scene Of The Crime troupe down to LA's so-called Skid Row for a night sequence for which street denizens would serve as colorful background. Our E. Fifth St. is getting to be popular with Hollywood directors and it's reminiscent of the ancient days in this youngest of the arts when meg-men would haunt downtown bars and joints looking for types, observed Variety when trades got word of Metro's newfound commitment to urban reality. Scene Of The Crime would be a tug-of-war between MGM prudence and rising impulse on the part of new creative staff to dirty up the dreamscape. White gloves were coming off storytellers headed grittier ways. Charles Schnee's Scene Of The Crime dialogue was loaded enough with precinct slang to require a police Academy thesaurus, him being a writer moving up and eager to make an impression, two years later scoring an Academy award for The Bad and The Beautiful. 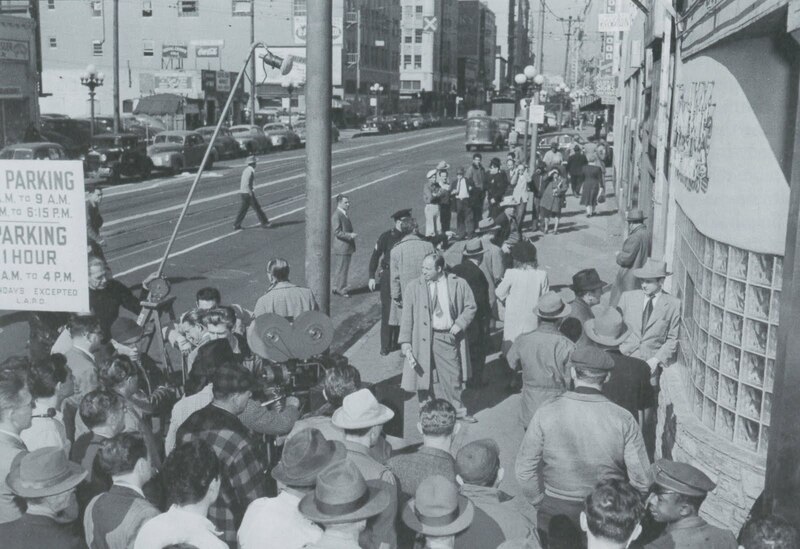 Director Roy Rowland and MGM Crew on Downtown LA Location Duty for Scene Of The Crime. Scene Of The Crime wants to be sleazy and occasionally gets close, tendering Gloria DeHaven as a sort-of stripper, cameras discreetly avoiding her act to focus mostly on onlooker reaction. Protective of corporate image MGM pulls back from sights that an Eagle-Lion or RKO would have reveled in. Still, there are spasms of violence in Scene Of The Crime that would've been unthinkable even a couple of years before. Schary was clearly encouraging his people to broaden borders. 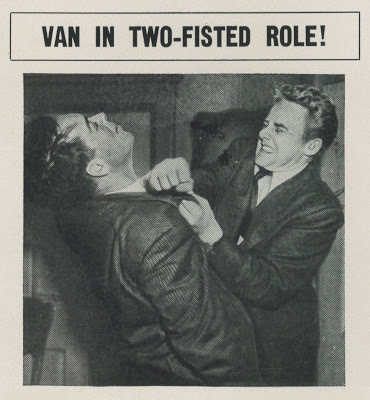 Toward that end would be off-casting of till-then eternal juvenile/Bobby-Sox idol Van Johnson as hardened vice and homicide investigator. A harrowing car crash of several years before gave cameramen leeway to present Johnson smooth or scathed. He'd nearly got the top of his head cut off in the bust-up and was marked by plainly visible scars Docs couldn't hide, though generally make-up enabled boy-next-dooring parts to which Van was mostly consigned. Presenting his face au naturel would give Johnson a battered authority for ease of transition to edgier roles. He's effective enough in Scene Of The Crime to make us wish VJ had been steered further down noirish paths. 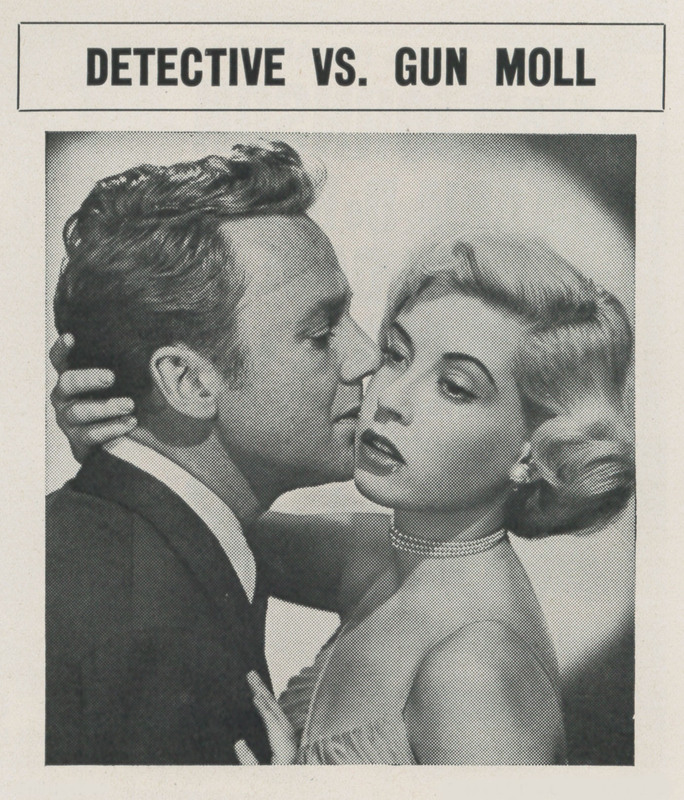 Schary and MGM seized bragging rights during the spring of 1949 and recent wrap of Scene Of The Crime, which according to Variety, was completed in 29 days and within its $750,000 budget. The negative cost was actually more like $760K, but the company wanted to emphasize the fact it had stayed within set limits. They even claimed to have brought in a Clark Gable vehicle, Any Number Can Play, for $750,000 as well, despite its actual tag being $1.3 million. Tendency on (the) Culver lot is now to try to standardize $700,000-$750,000 figure, said Variety, This will compensate for several high budgeters, such as Quo Vadis, which is slated to hit $4.5 million mark. The completion of Scene Of The Crime and Border Incident were touted as mere beginnings for a streamlined policy, Tension and Side Street scheduled to roll in late April at same reduced costs. Expensive features would still be made on the Metro lot, but Dore Schary was most engaged by ones he could see through at savings that would reflect sensibility brought from RKO. A film noir flowering at MGM would be his handiwork, even if Schary never got posterity's credit for said significant contribution. There'd be few critical kudos and less financial reward for Metro style-merging with RKO, most films from the overlap finishing with a loss. 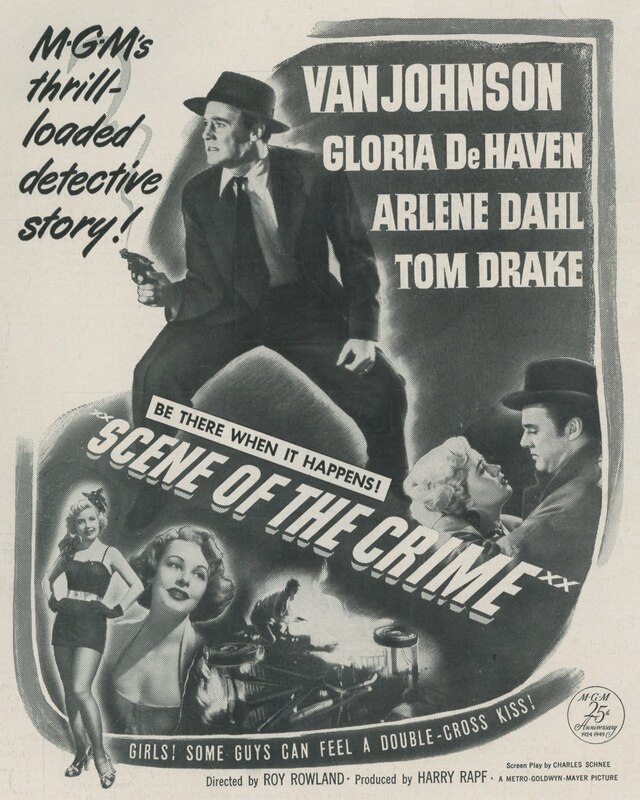 Of them, only Scene Of The Crime saw profit, that likelier a result of Van Johnson starring. There was $968,000 in domestic rentals, $446,000 in foreign revenue, for a final profit of $168,000. This wouldn't have been achieved had Scene Of The Crime's cost gone far past its modest $760,000. Good as they were (and inexpensive), Border Incident, Tension, and Side Street each sustained financial beatings. Schary's scheme of more volume for less was but a fitful overall success. MGM features prospering now were expensive and generally musical. Schary's noirs played through a 1949-50 that saw Adam's Rib, On The Town, Three Little Words, and super-hits Batttleground, Father Of The Bride, plus biggest-of-all King Solomon's Mines to sustain Loews' overhead. Schary and former RKO colleagues' budget efforts did keep studio lights burning and contract personnel busy making what would prove in hindsight to be some of MGM's most interesting post-war features. A lot of creative and performing staff held on to jobs longer for Schary's ambitious effort to maintain Metro production at maximum capacity and thus avoid lay-offs. 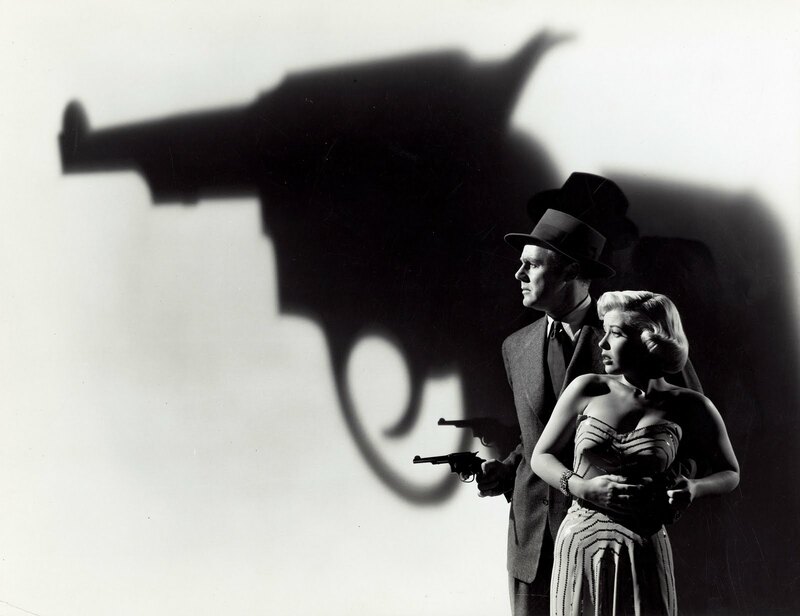 Had his experiment borne greater boxoffice fruit, Schary's MGM might have become film noir's most prolific haven. Kevin Kusinitz enlightens us about the super-rare "Charlie McCarthy, Detective." Thanks Kevin! For many years afterwards, when my friend and I ran into each other or spoke on the phone, one of us would inevitably break out into the title theme (sung by Charlie, of course) and alternately laugh and shudder at the memory. And we were both Edgar Bergen fans, so that's really saying something. On the other hand, maybe we were expecting too much. But, like the proverbial car wreck on the side of the road, we couldn't look away. My only experience with CHARLIE McCARTHY, DETECTIVE is from about 25 years ago, when somebody mentioned it by title -- and someone else piped up, "Isn't that the one where [name] turns out to be the murderer?" Bergen and McCarthy were so hot in 1938 that when Universal announced the production of YOU CAN'T CHEAT AN HONEST MAN, the ventriloquist and dummy got the huge billing, with W. C. Fields's name in smaller type below the title. Alot of years-ago when Johnny Carson and The Tonight Show were still based in N.Y. he would come out here to do his shows several times a year and it was I guess considered a Big Deal. My father had an agent/attorney working at CBS at that time and he always would very kindly, and generously get me tickets to the tapings at NBC and I would take some of friends from school. I still well-remember the night that Edgar Bergen was a guest. During the break when they had gone to commercial, Bergen reached behind him, pulling-out a little wooden- box and there was Charlie! And the whole audience gasped, sighed, laughed and applauded. I guess he was the most famous, and recognized, and beloved, dummy in the world. But the only time it really ever worked on-screen was in the Fields' picture. If you'll allow me a little more family-history, sometime in the late-forties before marrying my father, my mother, then an aspiring actress, was screen-tested by Metro for a project in the works in which Mom was scheduled to play Margaret O'Brien's twin-sister. She told me they tested her twice, once with Robert Z. (Pop)Leonard and once with Roy Rowland, and in both instances she told how very nice and caring both were to her. The film of course never happened. Ted, you've made my day. Thanks so much. Am I reading the right thread? How did Charlie McCarthy get brought into the discussion about this Van Johnson film? Chris, there was an ad for "Charlie McCarthy, Detective" on the masthead a couple of days ago, and several people responded to it. John, is that the one where [name] turns out to be the murderer?